2018 will see the release of another "Evidence-Based Policy Recommendations" to measure consistency of practice with these policy recommendations. These will follow the same methodology Stage 3 and 4 of this partnership and will result in health services being classified as "completely consistent", "partially consistent" or "not consistent". 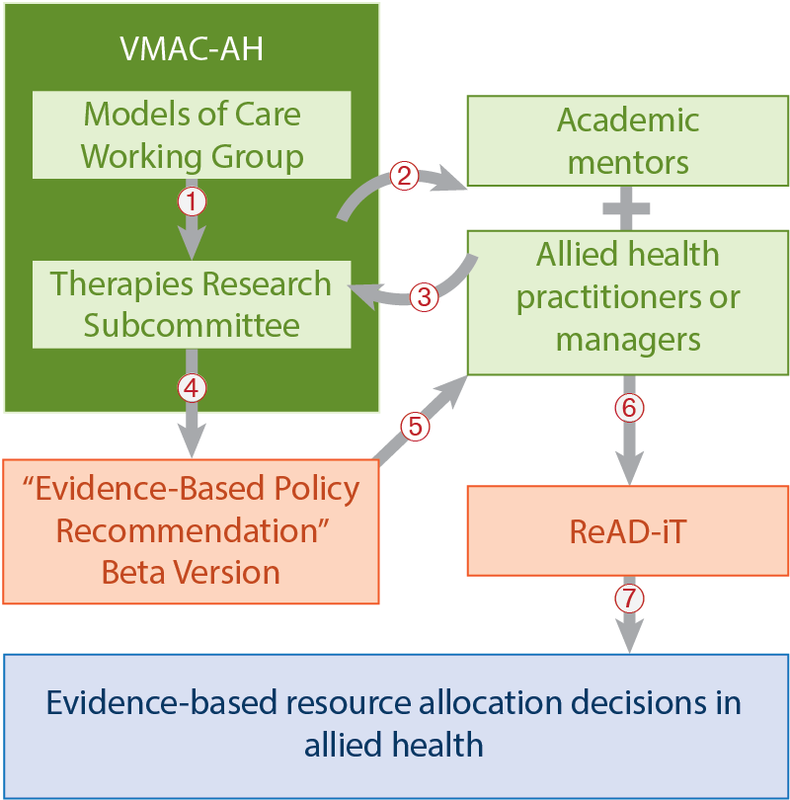 Allied health professionals will be invited to suggest allied health priority areas for evidence translation into practice towards the end of 2017.